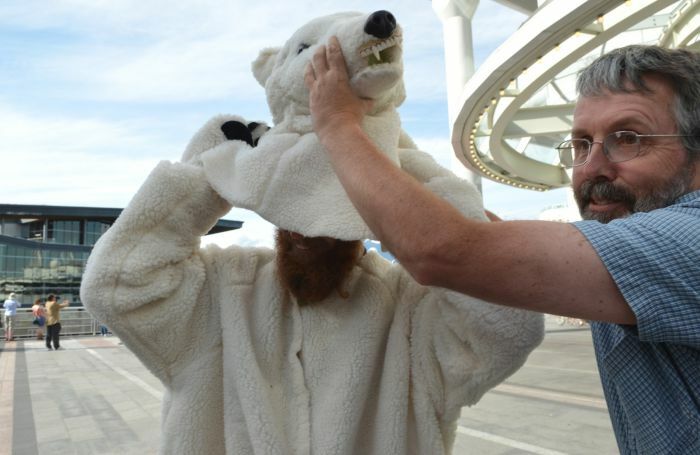 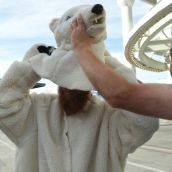 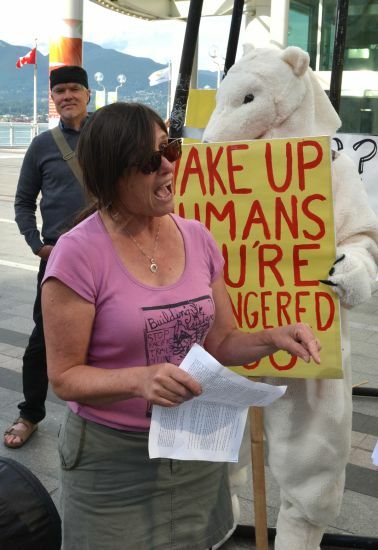 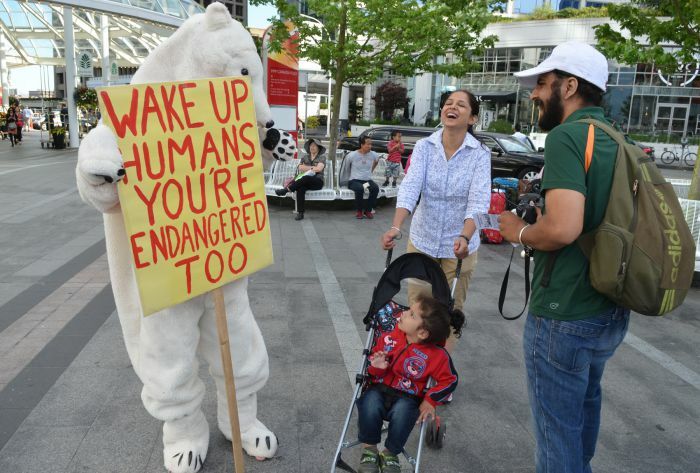 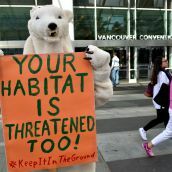 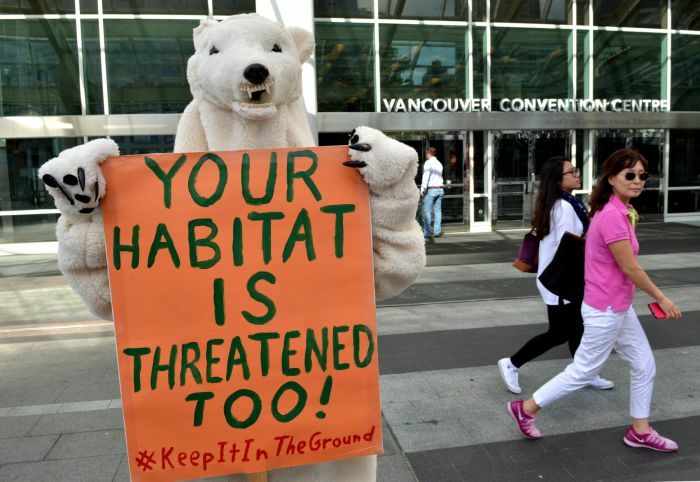 VANCOUVER - Rising Tide and a placard toting polar bear made their presence known outside Canada Place this afternoon. 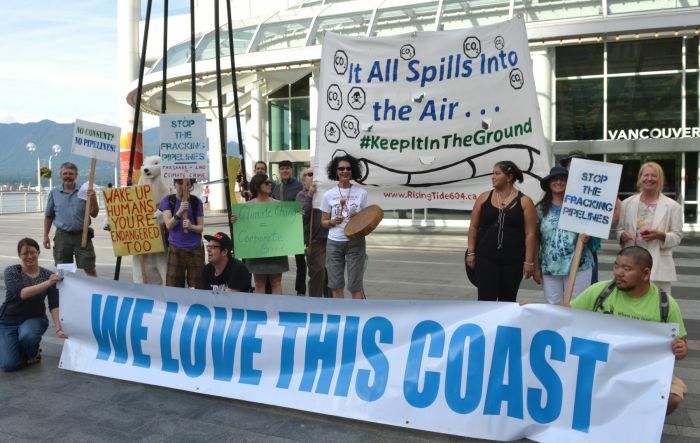 Inside, big oil was meeting with big government for the ‘Clean Pacific’ oil spill conference. 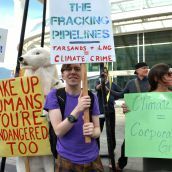 Exxon, Kinder Morgan and the Canadian Association of Petroleum producers sponsored the conference promoting “growth in crude transportation”. 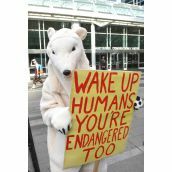 But Rising Tide, under the banner of "It All Spills Into the Air – Keep It In The Ground " says burning more fossil fuels will only increase the spill of carbon dioxide pollution into the atmosphere. 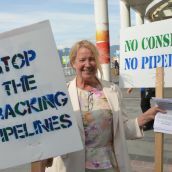 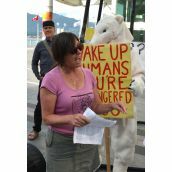 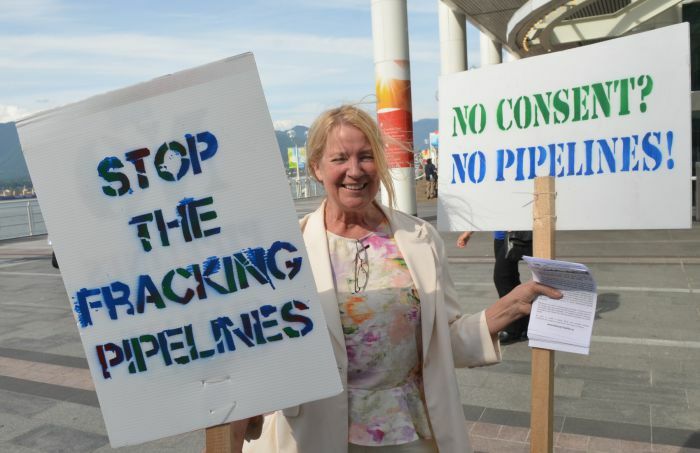 Rising Tide spokeswoman Teresa Diewart says “The most disastrous spill is the one that happens every day when oil is burned as intended – CO2 spills into the air, worsening the climate crisis and acidifying the oceans. 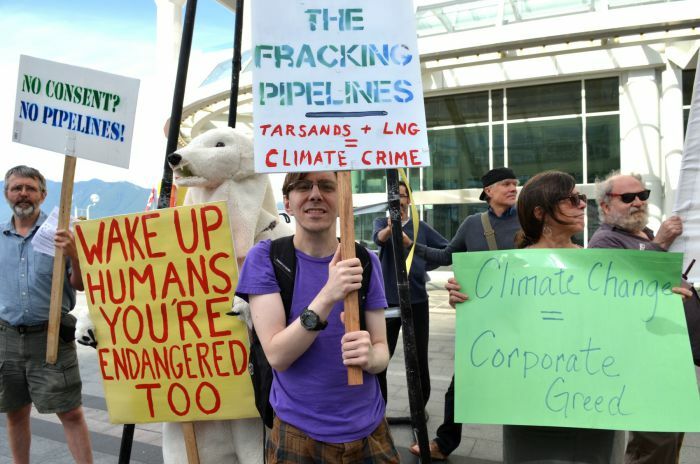 Big oil thinks they can ignore indigenous communities who are saying NO to pipelines, but if we stand with them we can keep tar sands oil and fracked gas in the ground. 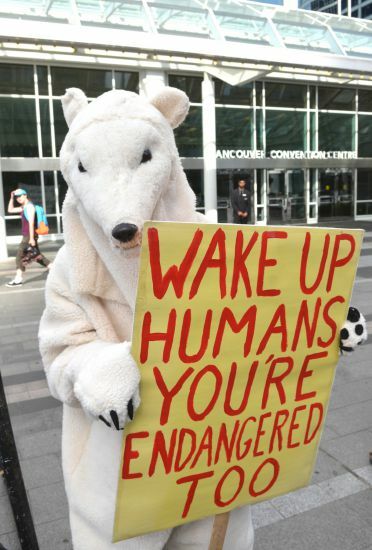 "This conference is devoted to corporate profit, capitalism, and maintaining the status quo. 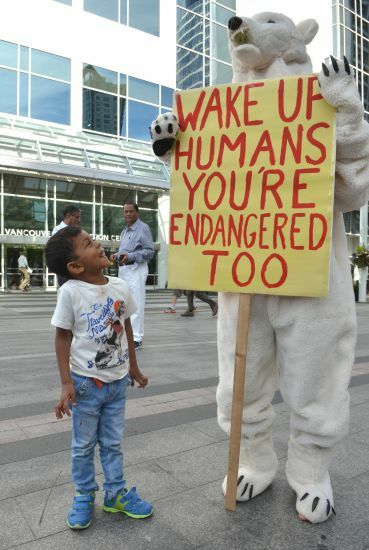 The climate is too fragile. 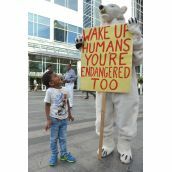 The environment is too valuable. 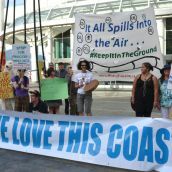 Any spilled oil is too much oil spilled and no amount of money can make it okay." 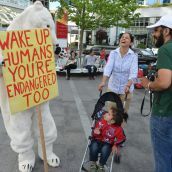 nice ways to open the heavy eyelids hope this will make a difference and i am not looking forward to the conference because i know, there is a big margin between talking and implementing.